Hear the Artist in his own words. Black History has not been incorporated or included into most American school curriculum. Recently I have spoke with a young white co-worker who is from my Mom’s Hometown of Dayton, Ohio and came of age in the 1990s. Let’s say he is in his mid to late 20s a well educated young man who admitted to me that he had never heard of many of the Black Artists, Scientists, Inventors, Photographers, Painters, Sculptors, Writers etc… that I know and admire. Many white young people especially those raised in the Mid-West or the South, ie the “Bible Belt” do not know or have even heard about Blacks who built America. Says a lot about the American “Mis-education system” which excludes entire races and populations because they don’t fit into our lopsided concept of America. Also one of the younger white assistant curators at my museum workplace who recently curated a Block Buster exhibit of a living African-American artist had to admit that he never knew or learned about the Great Migration until he curated the special exhibit. That’s sad. So in the U.S.A. you’re not really receiving an education so much as an indoctrination into all things white. White is seen as worthy whereas Black and Native American cultures and contributions are rarely acknowledged. Black History is American History!! 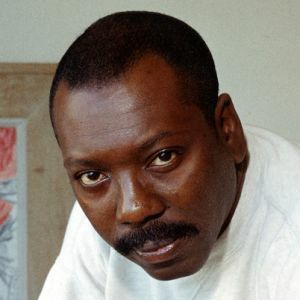 Here is some more information about the Great Migration and artist Jacob Lawrence who chronicled this important passage of American History. I have had the opportunity to see this collection at MoMA twice. More Black Inventors and Scientists courtesy of Pastor Lionel Sneed. The protest sign calling him an F’ing Cheeto is worth some laughs! Glad the art community including my museum workplace is standing up for justice!